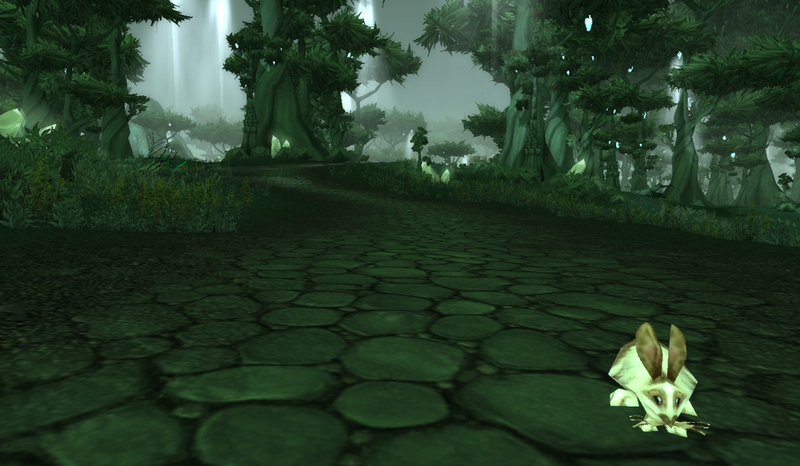 Ironically, I occasionally explore parts of the game which don’t involve either battle pets or my druid. In fact, sometimes I just want to get out some aggression and punch some dudes in the head. And though that’s kinda what twitter is for, there are places to get my kicks in WoW, too. You just have to know where to go. One (literally) small incentive kept me going (though I ought to be careful slinging around that ‘small’ stuff while playing a gnome). 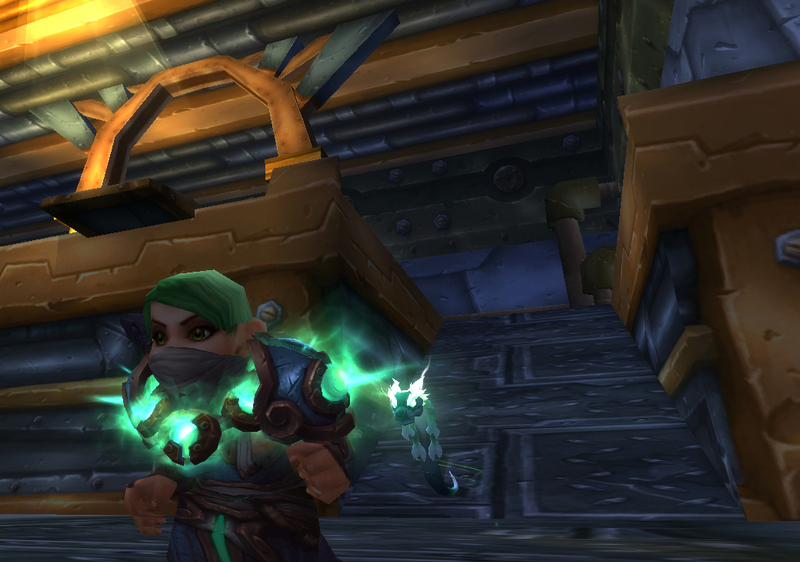 When you hit rank 4 in the Brawler’s Guild, meaning you’ve done the first 12 fights successfully, you can buy a Clock Em battle pet of your own for 20-30 silver (the price varies slightly based on reputation discounts). This is the only way to obtain a Clock’em of your own, so if you want a tiny robot with enormous spiked fists of fury, better get sharpening your daggers and make your way to either the Deeprun Tram or the Brawlgar Arena. Clock’em starts off Rare and you buy up to 3 as soon as you hit rank 4, but they are uncageable and BoP, so if you want one have to fistfight your way to the top of a pile of corpses. 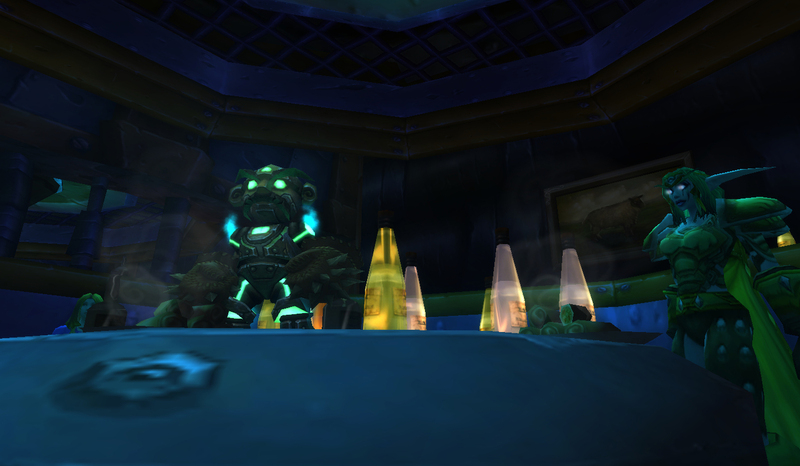 Clock ‘Em is unique in that he has a full complement of humanoid abilities, but is a mechanical battle pet, so he gets extra utility in the guise of the resurrection mechanical family ability. A few other mechanicals have a couple humanoid abilities, but Clock Em is all but entirely humanoid. Overtune is the one exception, and it’s used primarily to buff Clock Em’s speed, not really as a damage move. That speed buff has a lot of excellent synergy with his Kick move, which stuns if Clock Em goes first. However, Kick shares a slot with the utility move Dodge, which is frequently the better choice. Sharing a slot with Overtune is Counterstrike, which makes sense because Counterstrike has the best functionality if your pet is slower than its opponent. Rounding out his moves in the first slot is either the straightforward humanoid attack Jab, or the slightly odd Haymaker, which has a 50/50 chance to either deal damage and stun your opponent, or miss and stun the caster. 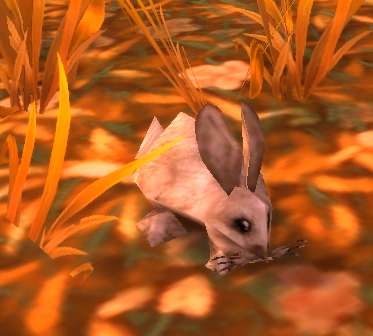 One big thing to be aware of using this battle pet, even in PVE, is cooldowns. Aside from Jab and Overtune, every ability in Clock Em’s moveset has a relatively lengthy cooldown. You need to choose carefully and use your abilities in an order so you’re not cooling your heels for a few turns. Clock Em’s Humanoid damage and Mechanical family make him relatively ideal for killing dragonkin that use a good bit of Magic damage. Unfortunately, Trixxy in Winterspring is the highest level tamer using a setup like this. He fights pretty well against most dragonkin though, as long as they’re not using Elemental damage. Now, who do I have to garrote to get a cup of coffee in this stinking place? Oh, don’t bother answering. I’ll figure it out. Trial and error. This entry was posted in pet profile and tagged BoP, brawler's guild, mechanical, untradeable, vendor on March 8, 2014 by Liopleurodon. This bird is in vogue bigtime, and it’s not just because it looks really good. 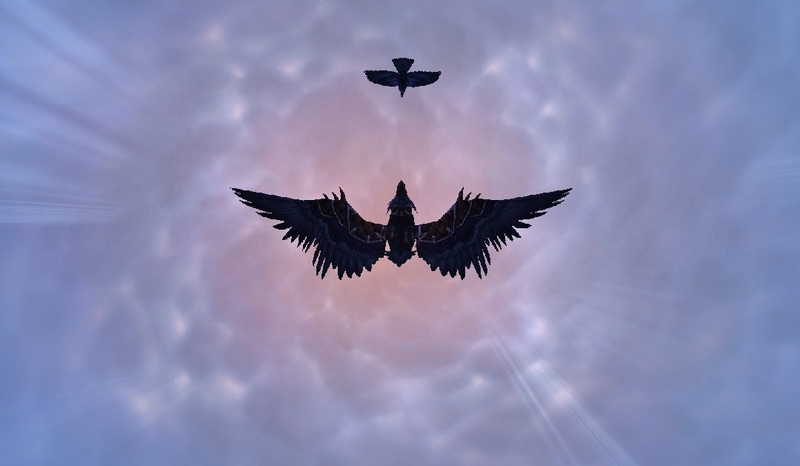 Lots of people suggest the Gilnean Raven for PVE and PVP both, because of a really slick 1 – 2 punch it packs. Darkness is generally an annoying ability to come up against in PVP, because it both makes it more difficult to hit you with key abilities, but makes you heal half as well. 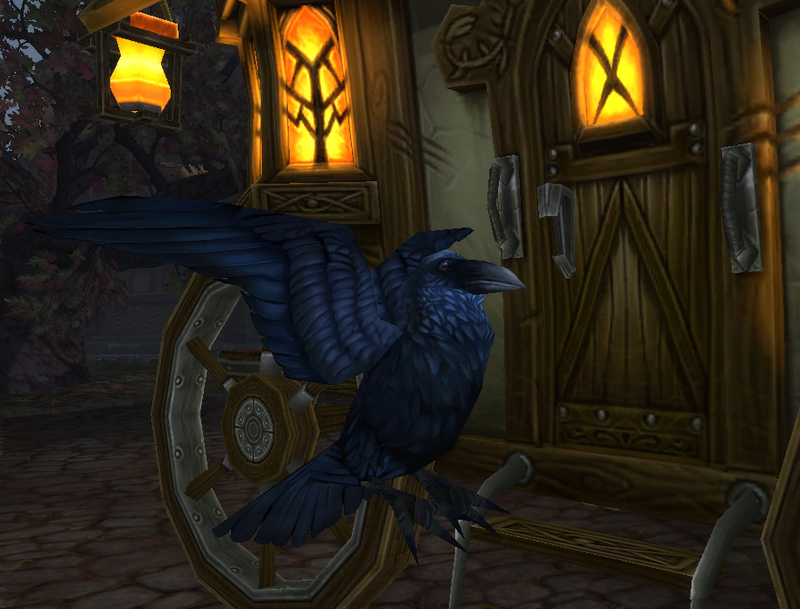 But, the Gilnean Raven has an ability, Nocturnal Strike, which relies on it (otherwise, the hit rate is super low). Nocturnal Strike hits very hard, especially against Aquatics, which makes this girl an excellent pick to go up against the Aquatic type Beasts of Fable. There are a good number of fliers with Nocturnal Strike, but not many of them pair it up with a Darkness ability as well. The only other pet with both is the Crow. The two of them make kind of a pair, so I named my Raven Pallas and my Crow Athena. 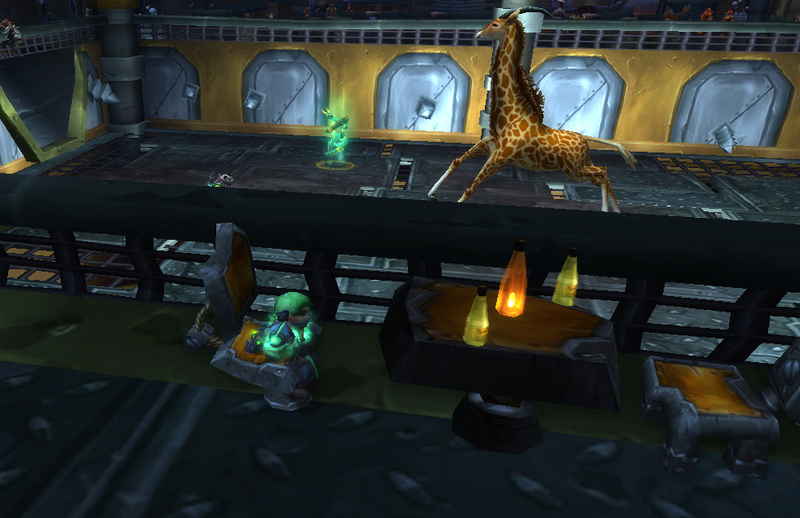 Darkness makes for some deadly synergy with some other pets too, namely the Pandaren Monk. It’ll also be good to pair with the upcoming Aspect pets from the Celestial Tournament since (as of this post, subject to change etc) they all have the Spectral Strike ability. But you can do that if you just have a Crow. In a reference to the Raven’s tooltip, the Raven is the only pet with the ability Nevermore. 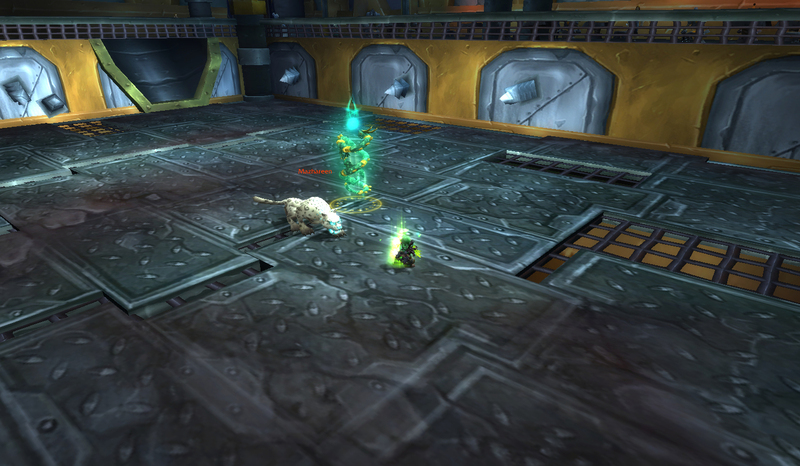 Nevermore is a very cool ability that can be used to shut down a few specific PVP strategies as well. As an example, Death Grip is on a 3 round cooldown. Death Grip or other force swap abilities are the most popular strategy I’ve seen other PVPers adopt right now. In general, you can count out those 3 rounds and use Nevermore, and lock down their force swap, for a glorious 8 rounds without having to deal with the ability… as long as your pet is faster than theirs. I’ve seen several tamers who use Nevermore pair it with Darkflame instead of Darkness. Darkflame doesn’t give you the extra miss debuff, and it works against Elementals. Since Darkness is a weather effect, elementals can still heal & hit you to their little hearts’ content. 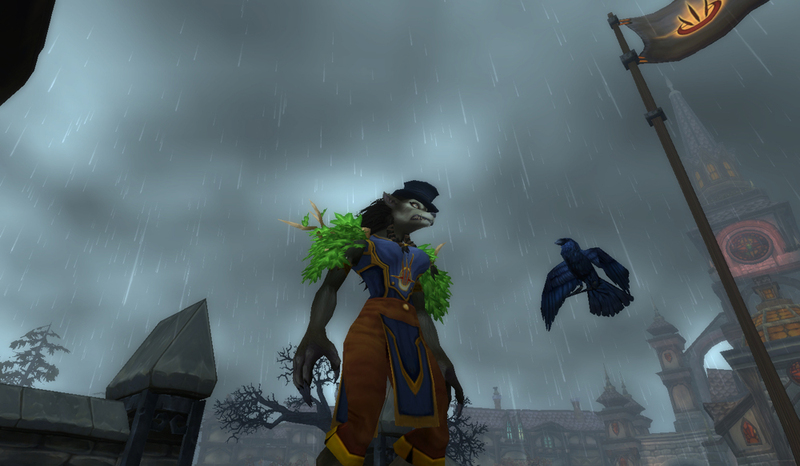 You get the Gilnean Raven by being a Worgen and buying her off any pet battle trainer. You can only purchase them once per account, however. They can be purchased off the auction house as well, but expect to pay a pretty penny. They start off Uncommon from the vendor, so you have to either stone them, or buy an upgraded one. In terms of breed, the only one you can buy now is B/B, so if you can find a different one on the AH, you may want to snap it up regardless, as the off-breeds will likely sell for crazy cash in a year or two. I have a soft spot for her… well, let’s be real, I have a soft spot for almost all the pets I use on a frequent basis. 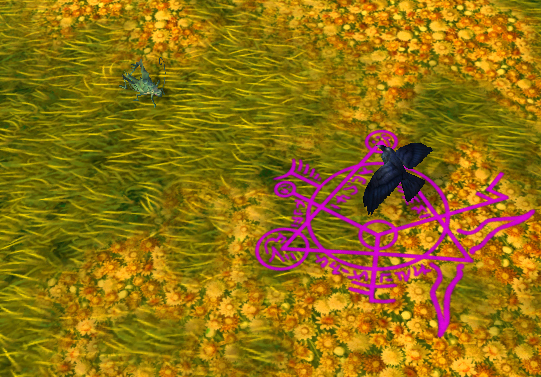 But there’s something special about this wily bird from Gilneas. This entry was posted in pet profile and tagged auctionable, elite pet battles, flying, pet pvp, vendor on June 13, 2013 by Liopleurodon.